End of line - extremely limited availability. Rich and creamy with a hint of sweetness. 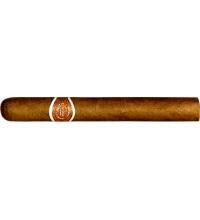 This cigar has the classic Romeo flawless construction. Reviewed by Joe Gellman Not one of my past favourites, I was a little concerned over the samples of this cigar being sent for my review. I almost sent them back to C.GARS but for the fact that the has been 100% on the money with all their selections. 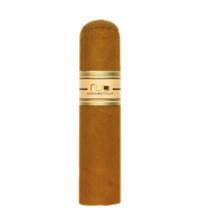 The cigar did not present with any noticeable aromas, out of the package. The cigar looked nice and the color was medium claro, as well as smooth. As a matter of fact, I could almost hear Vivaldi 'Autumn' playing in the background, the hue of the wrapper was so 'that time of year. Perhaps it was due to the fact that my office window was open and we were having the first light, cool breeze after a Summer of Heat. Not to be outdone by my imagination, I placed a Vivaldi CD in my computer and started my inspection of this cigar. All three of the selections (the cigar, not Vivaldi) measured precisely 165mm by 16.7mm (I bought a really fancy caliper for these tasting notes). Each was wrapped to within a fraction of perfection, and none had telltale bumps, soft spots, or prominent veins. The cigar clipped without incident. And had a mild woody taste before lighting. The foot was even and the tobacco was packed very neatly. The wrapper was perhaps a little richer than matt, but not that much. 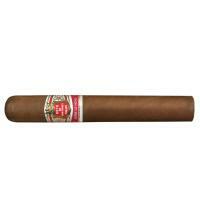 The cigar lit without much flame and the first draw of tobacco gave me a pleasant mouthful of light spice, wood. The initial aroma was a bit dusty but there was an almost immediate transition to an open woodsy undergrowth. The ash was deep gray and a little loose. At first the ash seemed to mock those who have Peyronnes, but after the first inch, all was straight. Nothing exciting happened through the base of the cigar and about 1/3 of the way through the body, the taste mellowed and was a bit exotic, as if you were in a forest after a light rain, the Ozone smell just beyond reach. There was nothing complex about this cigar though I got ample smoke from it and it burned just a little hotter than I generally like. Towards the end of the body the aroma became richer, stronger, but the heat remained at a level which did not impair the enjoyment of the smoke. With a little less than 60mm to go, the cigar softened and returned a rich taste, a bit tart, but still very pleasant. 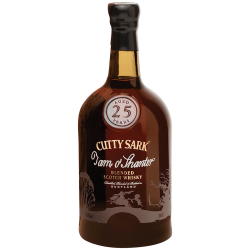 I was not surprised about the herbal quality which was now somewhat prominent, and was hoping for a great finish. At no time did the woody taste go away, likewise, it never developed and never ebbed. The finish to this cigar was not super but it was pleasant, nonetheless. 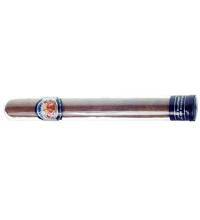 The cigar smoked dry yet it never lagged in taste, aroma or flavor. I was glad that the cigar did not end up too hot yet was unhappy that the taste did not linger. 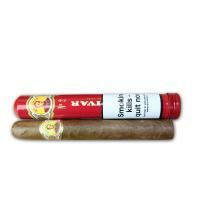 In all, the cigar was a perfect example of what you would expect of this vitola. No surprises, no disappointments, only a pleasant smoke, well worth your time with the caveat that, if you expect this Lonsdale to be one of the best, you will not be happy. Do not think I am dissing this smoke, I rather enjoyed it and it was, indeed, worth my time. 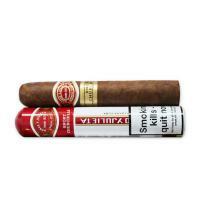 It is inappropriate for anyone to smoke only one brand and one vitola. It takes away from the experience if you do not try all the vitolas available from the different houses. I will certainly keep this cigar in my humidor and smoke it from time to time. I am interested in seeing how this cigar ages and will write more about it in a few months. Predominantly cedar aroma throughout. Some white pepper comes in the 2nd third. Also hints of leather and nutty flavour. An enjoyable subtle cigar.